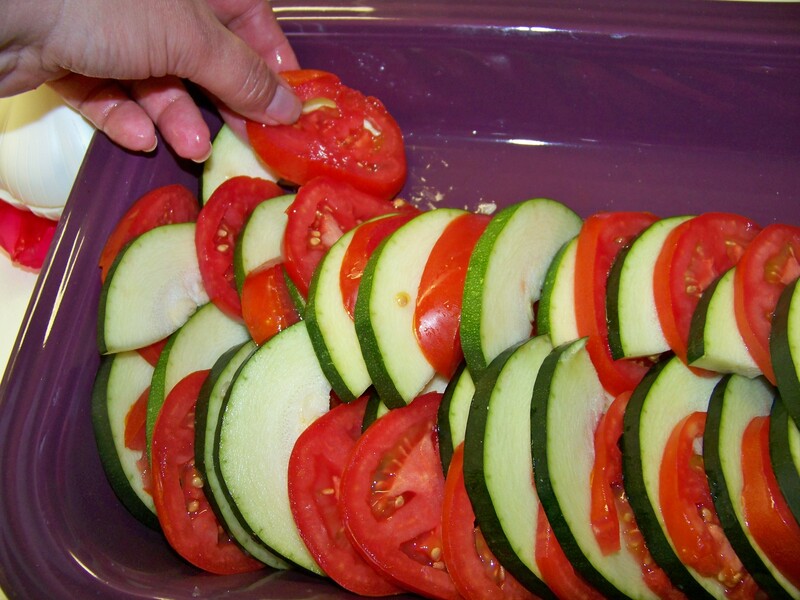 The quintessential vegetable casserole is what the French call ratatouille. It’s sort of the comfort food of summer gardeners. 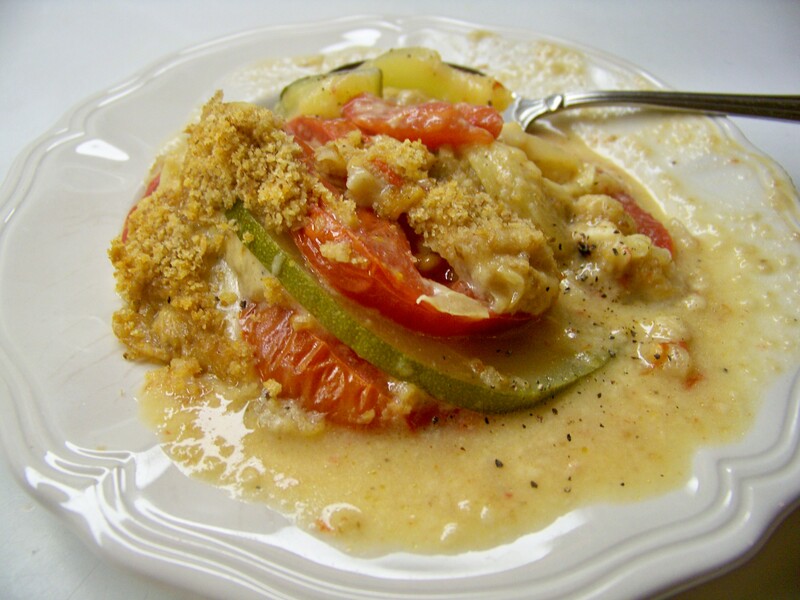 There are many variations but I kept mine very simple with only zucchini, tomato, onion, cabbage, garlic and herbs in a creamy Gouda cheese sauce. 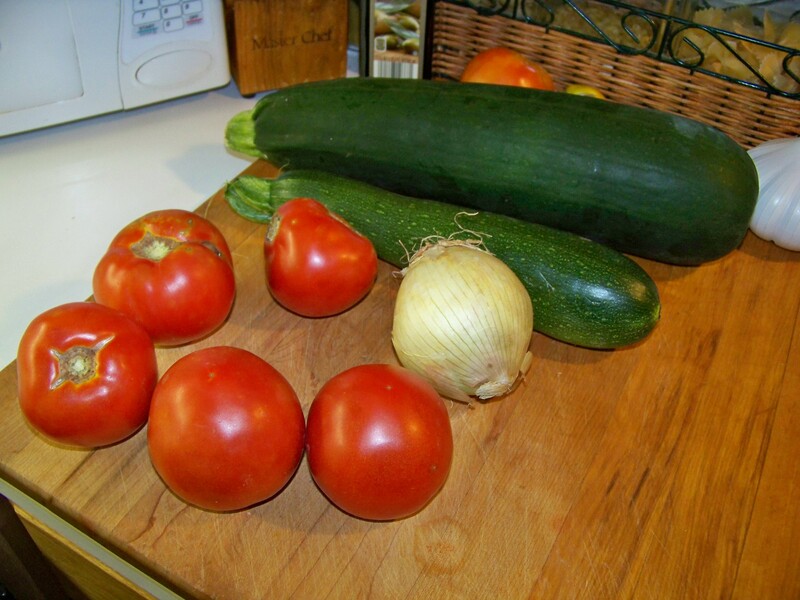 Nothing says summer like vine ripened tomatoes and I’ve recently found myself up to my ears in them thanks to my friend Gayle. She and her husband put in at least six ten foot rows each year. The yield this year is off the charts. We’ve had lots of good rain this spring and it seems to have been spring for half the summer here in St. Louis. Only recently have we had the traditional high humidity and heat. That’s what those tomatoes love. So just now those juicy fruits are going strong on hearty vines. Even the ones in pots on my porch are producing well. Every windowsill has at least six tomatoes glowing red in the sun. I chose five medium and very ripe ones along with half of an overgrown zucchini to make this dish. First, I preheated the oven to 375° then I sliced everything uniformly and arranged the vegetables in neat rows of alternating vegetables. 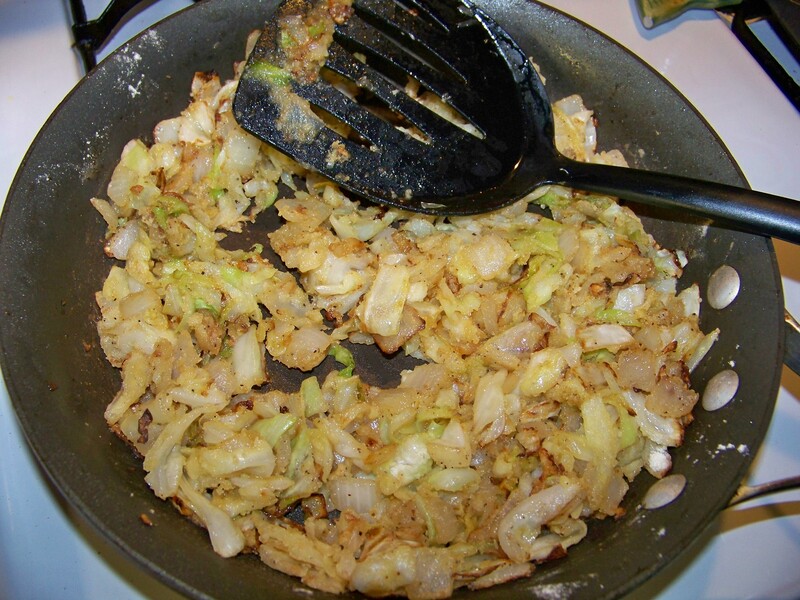 In a skillet I made a roux with olive oil, garlic, a hunk of chopped cabbage, a diced onion and a couple of tablespoons of flour, salt, pepper and freshly chopped thyme and parsley. I cooked it all down until it bubbled into a golden brown. A cup or so of milk went in a little at a time and was whisked together until it thickened. 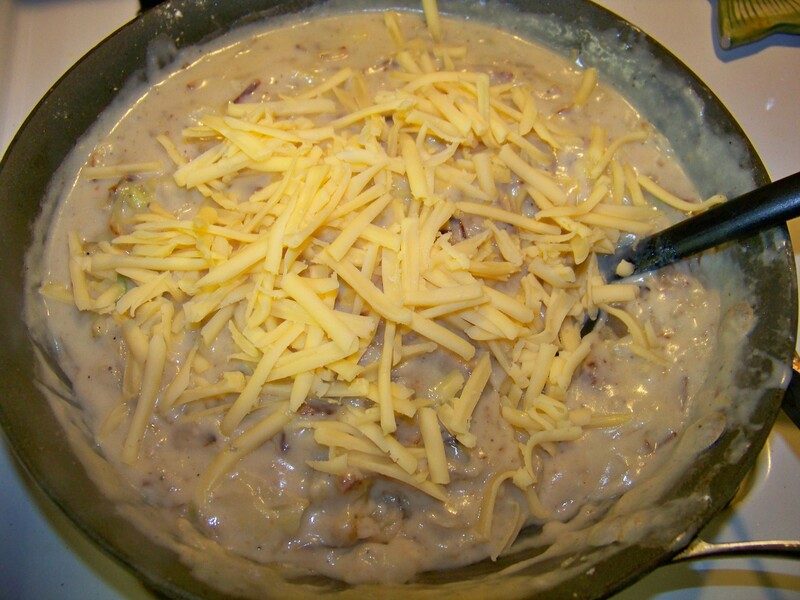 Gouda cheese which is sharp like cheddar and melts very well was shredded along with a bit of leftover cheddar, added to the skillet and was whisked in as well. 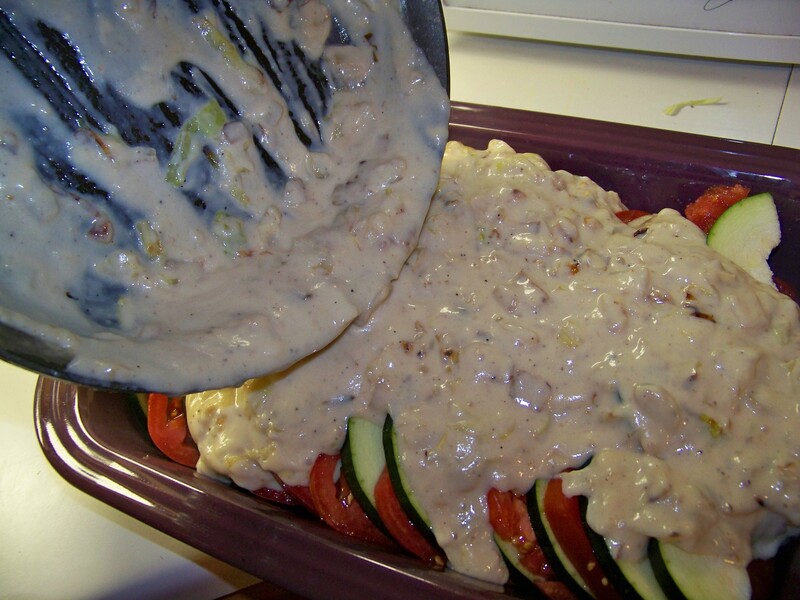 The sauce became nice and creamy and I poured it over the tomato and zucchini. 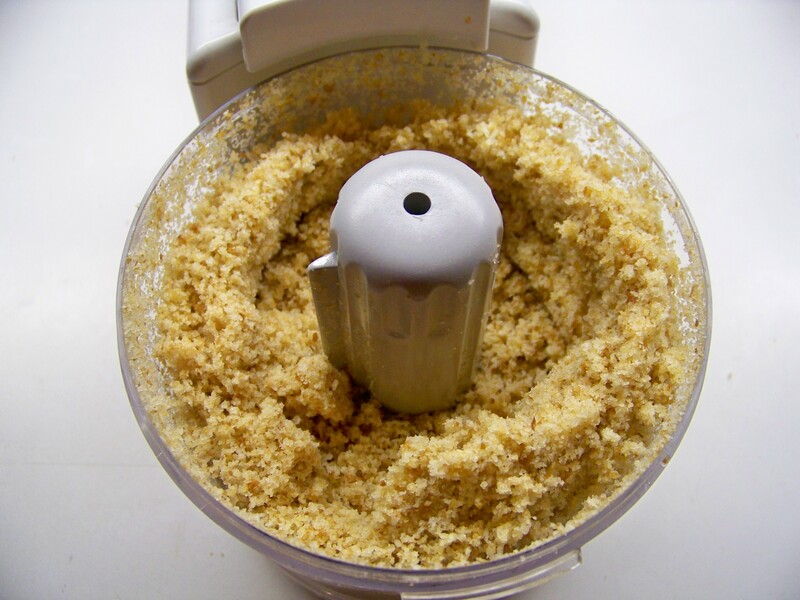 For a topping I pulsed a few slices of bread in the food processor with a pinch more of the herbs from the garden , pulsed in a dash of olive oil and sprinkled the top with the crumbs. Into the oven it went for about 45 minutes until the top was crisp and golden and the sauce bubbled up the sides. 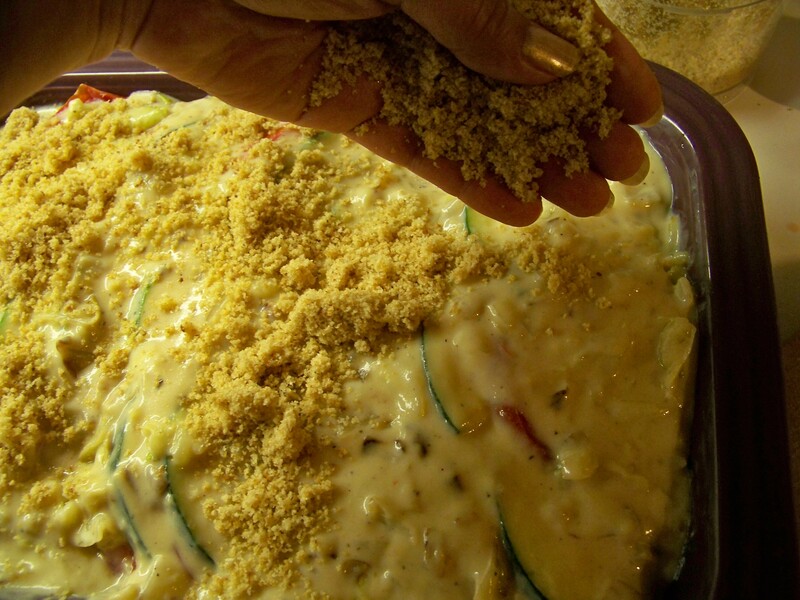 Before we could dig into this casserole, it needed to cool down quite a bit before it could be served. We survived the wait and boy, was it worth it! You could use a wider variety of vegetables in this dish. Often mushrooms Green peppers and eggplant are sliced and arranged in layers too. Fresh herbs from the garden like basil, thyme oregano, tarragon and parsley can be added…what ever suits your taste. I went the simple route and worked with what was abundant at the time. I will have the opportunity to try more of a variety the next time. My peppers are getting bigger and I just bought some porcine mushrooms. Stay tuned! 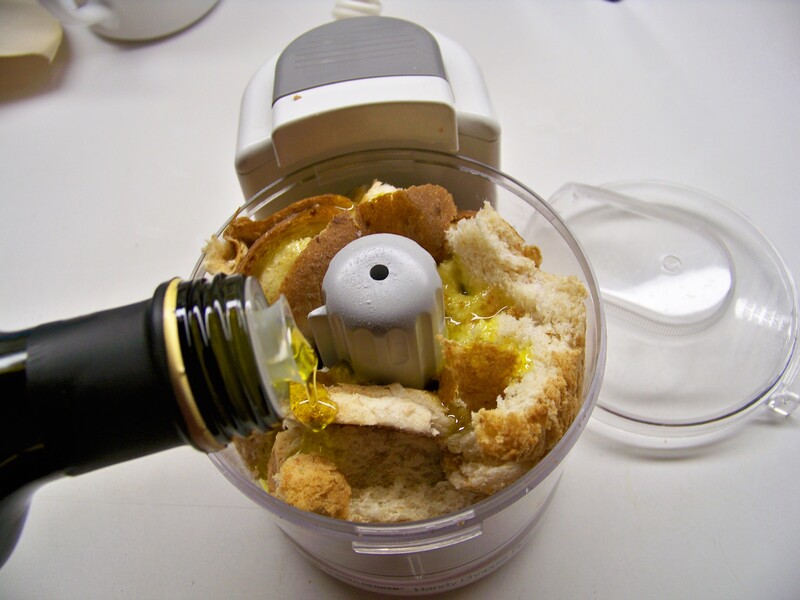 This entry was posted on July 28, 2014 by divaofdelicious. 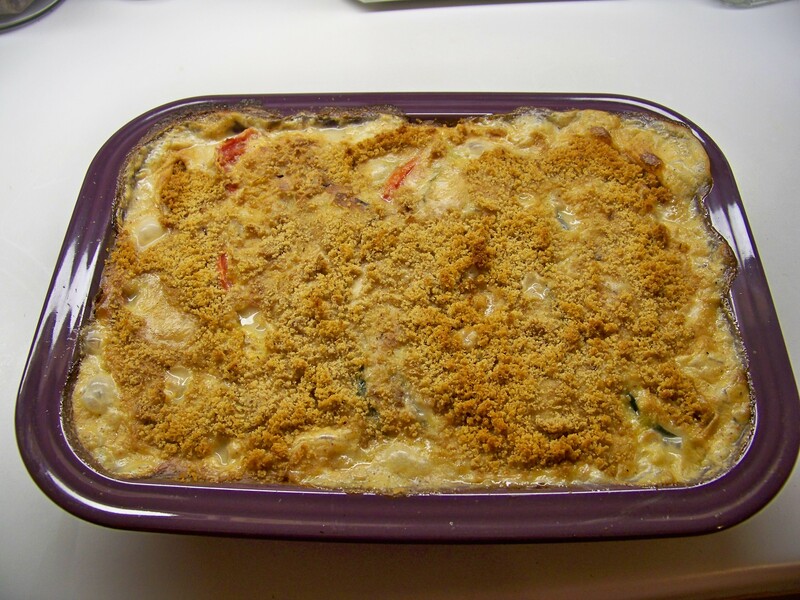 It was filed under Uncategorized and was tagged with bread crumbs, cheddar, comfort food, food, fresh herbs, gouda, green peppers, home grown tomatoes, life, olive oil, onions, ratatouille, roux, zucchini.